Happy HUMP day, readers! Looking for a salve to soothe the burn of an already stupid-terrible week? 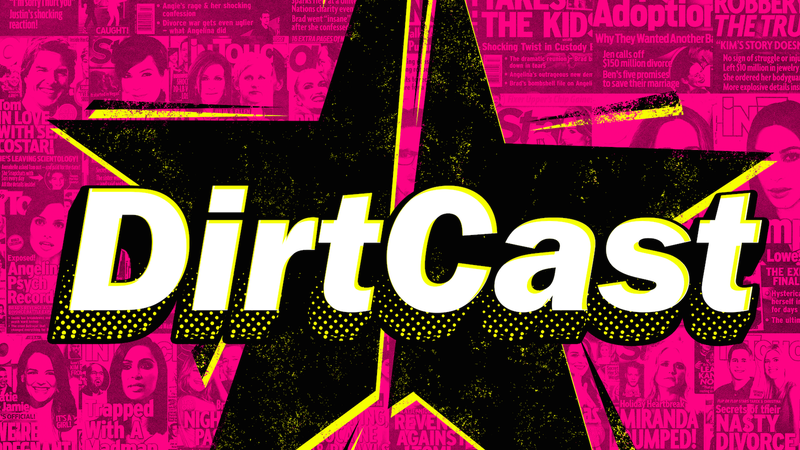 Why not listen to the very first episode of DirtCast, the new Jezebel/Fusion Media podcast wherein Bobby Finger and I talk about the dumbest celebrity gossip of the week and go deep on the shallow? In our debut episode, we’re talking about Johnny Depp’s rumored debt and wine collection, the questionable choice of casting Hollywood conservatives Mel Gibson and Vince Vaughn in a Blue Lives Matter movie, and whether or not Rose and Jack would have stayed together had Jack not have died at the end of Titanic. Also: I accidentally call the Atlanta Falcons the “Ravens” multiple times. Don’t like it? Too bad! Go read Deadspin! Later in the show, we welcome our very first guest, Rob Shuter of Naughty Gossip, who previously worked as a PR rep for Jennifer Lopez, Diddy, Jessica Simpson (during the Nick Lachey divorce) and more. He then went on to serve as Executive Editor of OK! magazine before striking out on his own with Naughty Gossip. Frankly, we couldn’t have asked for a better and more down-to-clown guest to serve up the dirtiest dirt about the PR and tabloid world during our very first week. If you have questions, ideas, or want to tell us what you think of the episode (SAMPLE EMAIL TO COPY & PASTE: “I loved it! Bobby and Madeleine are the best! I love you!!! ), send us an email at dirtcast@jezebel.com. And please, for the love of God (Jennifer Aniston), rate and subscribe on iTunes. While you’re there, why not put a little more substance in your life and check out Jezebel’s new politics podcast, Big Time Dicks? The podcast is produced by Levi Sharpe with editorial oversight from Deputy Editor Kate Dries. Our Executive Director of Audio is Mandana Mofidi. 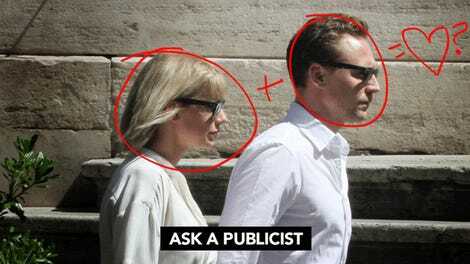 Ask a Publicist: Is Taylor Swift and Tom Hiddleston&apos;s Relationship a Total PR Set-Up? Ask a Publicist: Could the Kim Kardashian Robbery Have Possibly Been Staged?